Call-to-actions (CTAs) are crucial to guiding a visitor around your ecommerce website and leading them to take a desired action. Whether you define conversion as a sale, an enquiry, registering for an event, subscribing to a mailing list or purchasing a product, encouraging users towards your conversion goal is key. But believe it or not, just plonking a button on a page does not cut the mustard. Indeed, not all Call-to-action (CTA) buttons are effective at guiding a user along your desired marketing funnel. In our years of all types of website design and development, such as ecommerce, we’ve seen a fair few CTAs that leave a lot to be desired. Therefore, we have noted our Dos and Donts of CTAs to hopefully spread the word of CTA best practices for an effective ecommerce website. This completely defeats the point of calling for action! 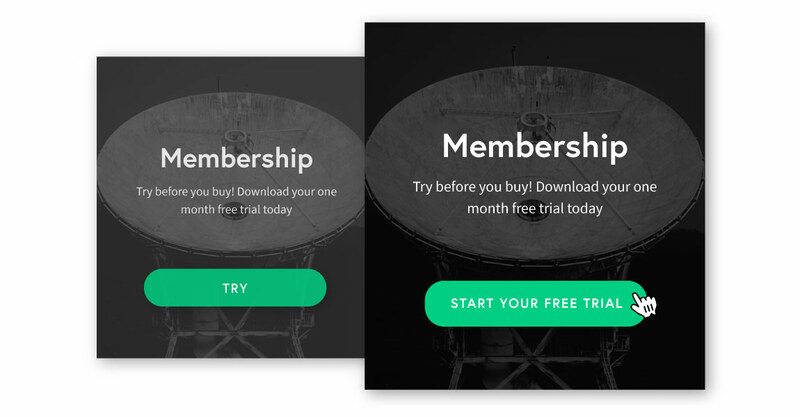 CTAs should be BIG and BOLD. Also, considering placement of them should be a thought through decision as CTAs are pointless if no now sees them! We advise having your first CTA above the fold so it is directly in the user’s eye-line when they use the page. Also CTAs throughout each page enable a visitor to direct to another part of the site when they find a relevant sign post. The entire point of CTAs is for them to grab your user’s attention to encourage them to delve further into your website. Therefore, using colours that are similar to the background breaks the rules for call-to-actions as they will blend into the page rather than standing out. 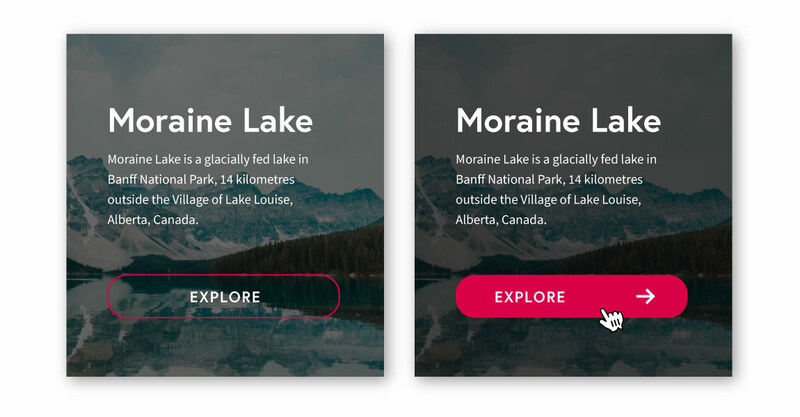 Use bold contrasting colours so that the buttons pop out to a visitor and increase likelihood of click-throughs. There is no excuse for dull Call-to-action button design as there are limitless interactions that can happen upon hovering on a button. Making your buttons interactive will assist in being enticing to the visitor. 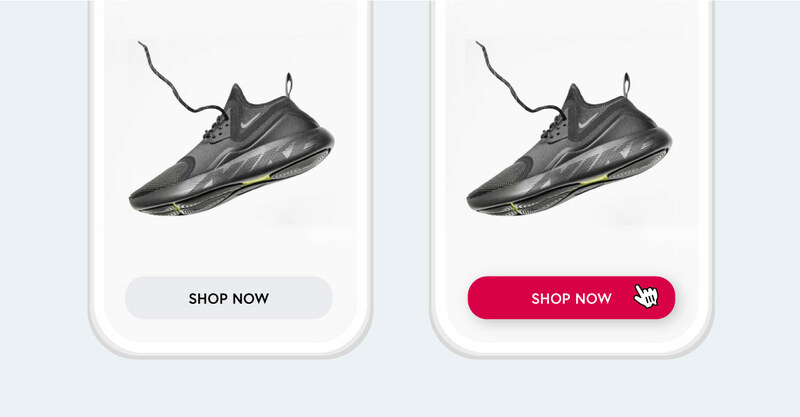 The dynamic nature of CTAs can even help extend your brand’s personality by choosing an engaging interaction that reflects your brand identity. Why? Because your CTA’s need to be the short punchy elements to direct your user around the site. You need to capture the prospect’s attention as concisely as possible. Keep your CTAs short, simple and to the point. DO use enticing and/or actionable words and phrases. You can convey the action you want your user to do. Example DOWNLOAD TODAY states, if not demands attention and click throughs. This is a waste! Your CTAs are for funnelling your user to the specific area(s) of the site you want them to interact with. 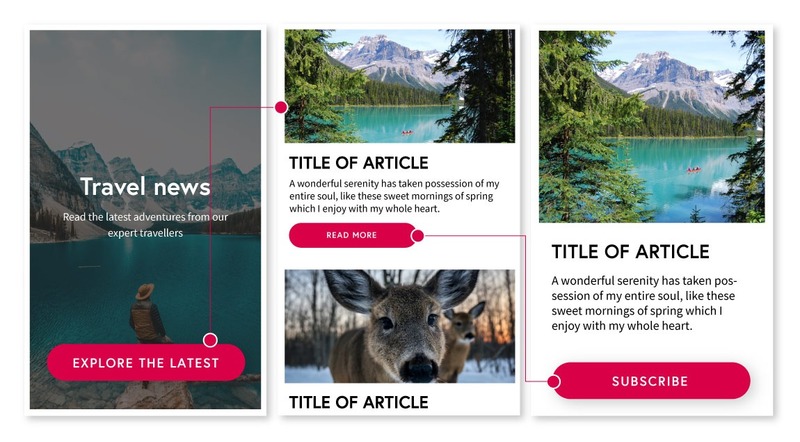 Sending them to the Homepage therefore defeats the point of CTAs because a Homepage is often an overview of the entirety of the site’s key features, increasing the amount of choice that a visitor gets rather than guiding them to your dedicated pages. CTA’s are a great tool to encourage users to move around the site, so make sure the pages you are sending them to are strong in terms of content and design. Whilst offering a smooth user journey including CTAs is important , it is largely the content of your site that validates whether you are a company that is worth recognition in your marketplace. It is crucial to showcase what you’ve done and what you know. Using testimonials, case studies and industry news are a few of our favourite suggestions of how to include strong content. Similarly, attractive design with impressive features will help you build a convincing case as to why a user should engage with your brand. The CTA should contribute to an overall design that is impactful and reflects your brand effectively. By validating your proposition with both strong content and good deign, users are more likely to recognise you as worth engaging with and the rank you as a serious contender in your industry. A benefit of using a web design and development agency for your ecommerce website is that you have this knowledge and expertise naturally applied to your project. If you have an upcoming web project that you’d like to discuss with us please get in contact or send us your brief.